The 2017 release of the Somalian Elephant coins could go down as the most significant in the coin’s history. After a small expansion of the program in 2016, the Bavarian State Mint went all out for 2017 with the release of six new weights in silver and two in gold. 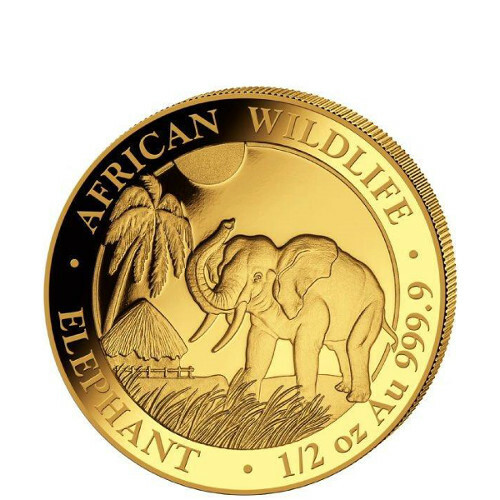 Today, the 2017 ½ oz Gold Somalian Elephant Coin is available on Silver.com in BU condition. Fourteenth issue of a new Somalian Elephant design! First-ever release of a ½ oz Gold Elephant! Face value of 500 Somali Shillings. Obverse bears the all-new 2017 Elephant design. In 2016, the Bavarian State Mint made the first expansion of its popular Somalian Elephant coins in years with the first-ever release of a Platinum Somalian Elephant coin. Now, the mint is expanding the series even further. For 2017, the Silver Somalian Elephant is available with six new weights, including its first-ever fractional-weight coins. The new weights include a 1/10 oz, ¼ oz, and ½ oz option in silver, as well as 2 oz, 5 oz, and 10 oz, weights joining the 1 oz and 1 Kilogram stalwarts. 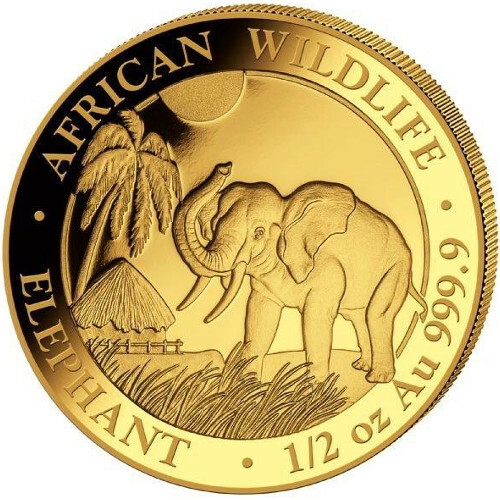 As for the 2017 Gold Somalian Elephant, the ¼ oz and 2017 ½ oz Gold Somalian Elephants join a stable that already includes a ½ Gram, 1/50 oz, 1/25 oz, and 1/10 oz options for fractional-weight Gold Elephants. The Bavarian State Mint is located in Munich, Germany, and was opened in 1158. One of Germany’s oldest operating mints, it is also one of the most important. In addition to the commemorative Somalian Elephants, it produces official Euro currency for Germany. Please feel free to contact Silver.com with questions. You can reach us at 888-989-7223, connect with us online using our live chat, or send us an email.